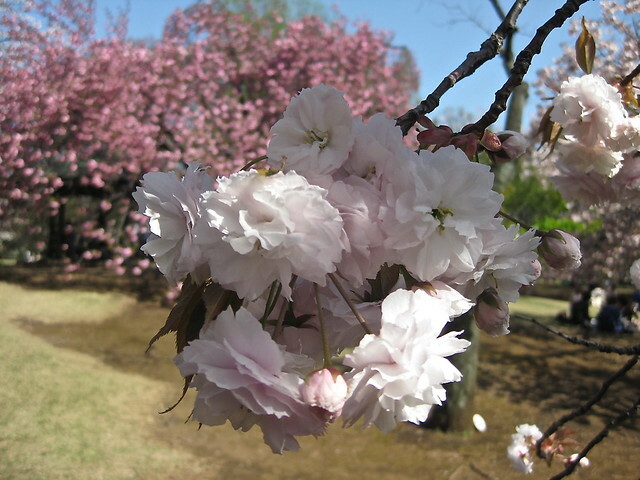 I know, I’m going into cherry blossom overload mode, but I just couldn’t resist sharing some more pictures with you. 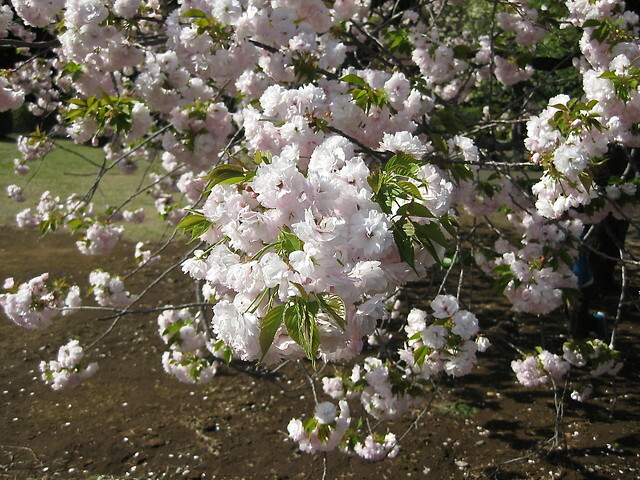 I took these at Shinjuku Gyoen (Shinjuku National Garden), which is a short walk from Shinjuku Station. 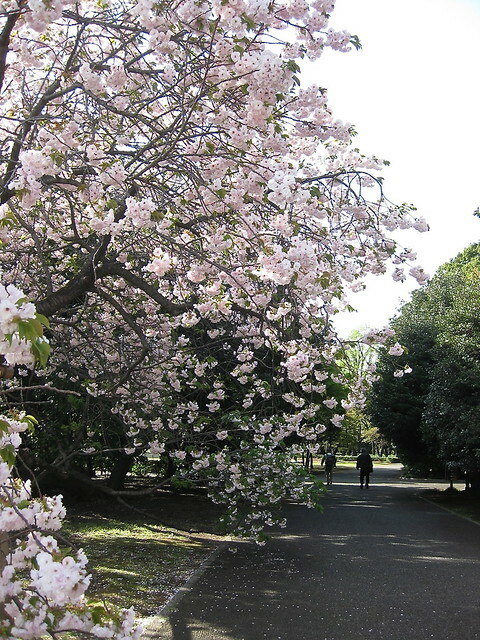 I love it and always go there when I’m in Tokyo, so visiting in cherry blossom season this year was very special. Shinjuku has a different feel to Kyoto. Kyoto is an elegant city full of gardens where centuries have been spent achieving perfection and the ghosts of Japan’s poetic past surround you as you walk. 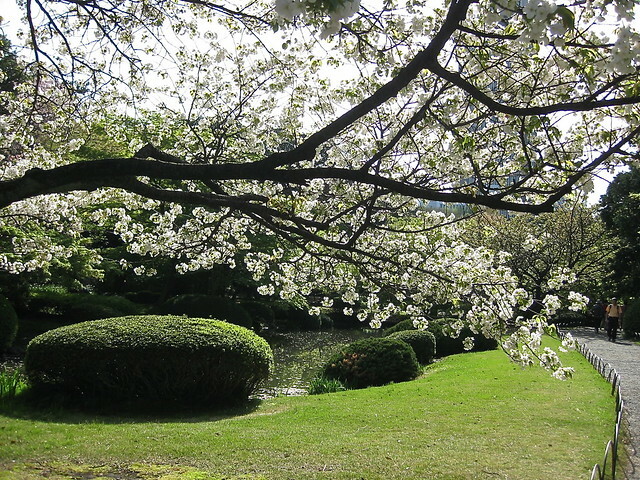 Shinjuku is more contemporary – a place to go to relax and get away from the hustle and bustle of one of the worlds busiest cities, and to appreciate the varieties of blossom on offer. 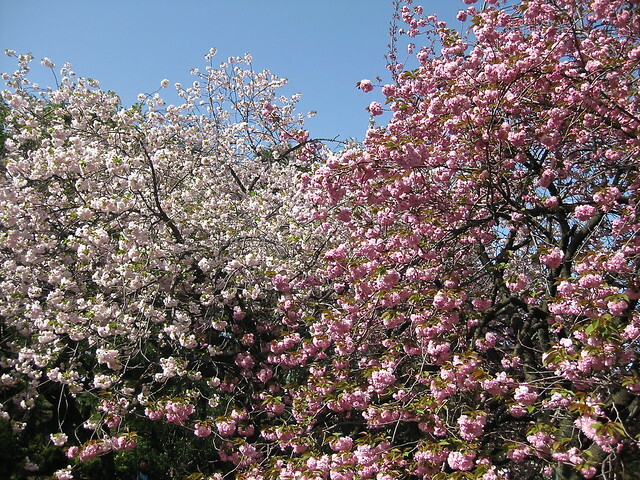 In cherry blossom season it’s a great venue for hanami parties and for photography – everywhere you go you find cameras set up on tripods and people waiting patiently for the breeze to die down so they can capture that perfect close-up. I didn’t have a tripod. 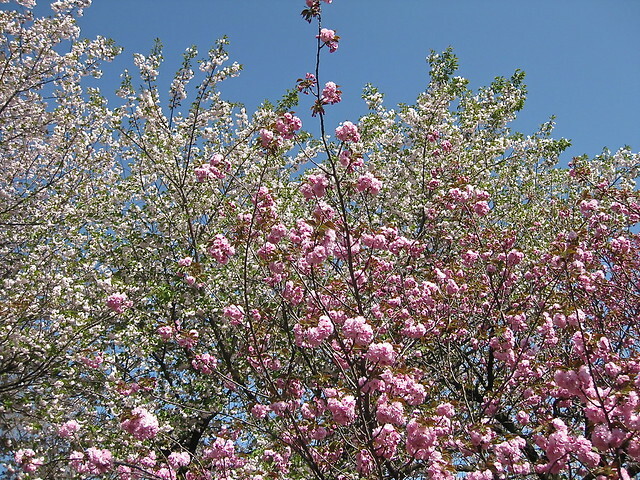 I just walked around snapping every tree I saw – and there were plenty of them. 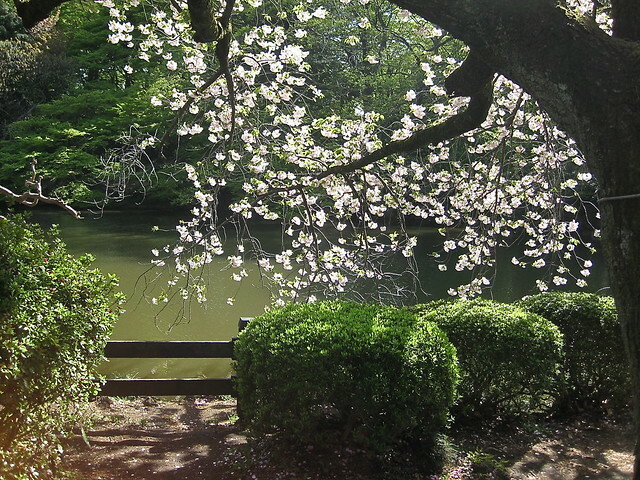 The sun shone, the breeze rustled the branches and rippled the water of the lake. Everyone looked happy – and why not? 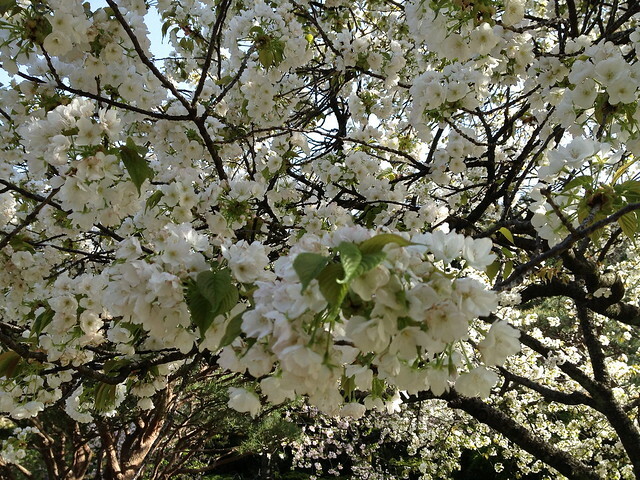 It’s cherry blossom time. 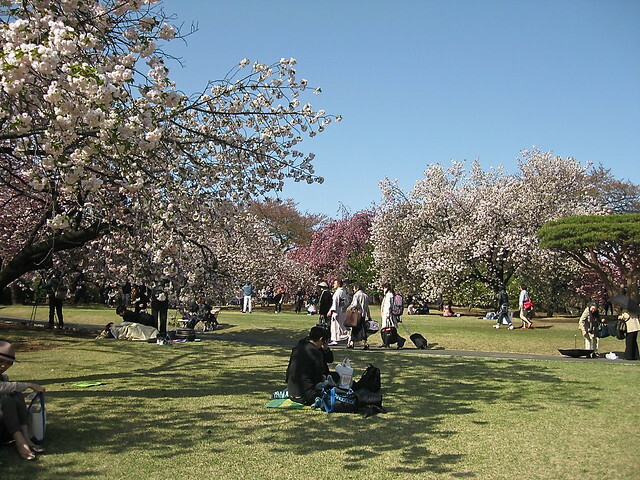 Entry to Shinjuku Gyoen cost 400 yen (about £3). 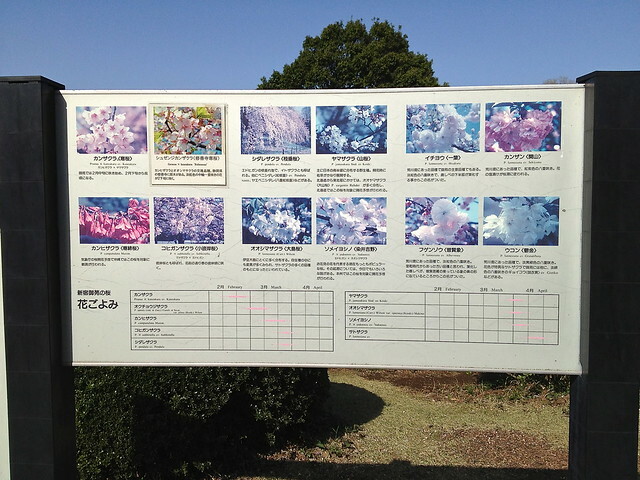 It’s open from 9 am to 4 pm and is normally closed on Mondays, except in cherry blossom and chrysanthemum seasons, which is lucky as I went on a Monday. It has places to eat and an ample supply of free toilets. 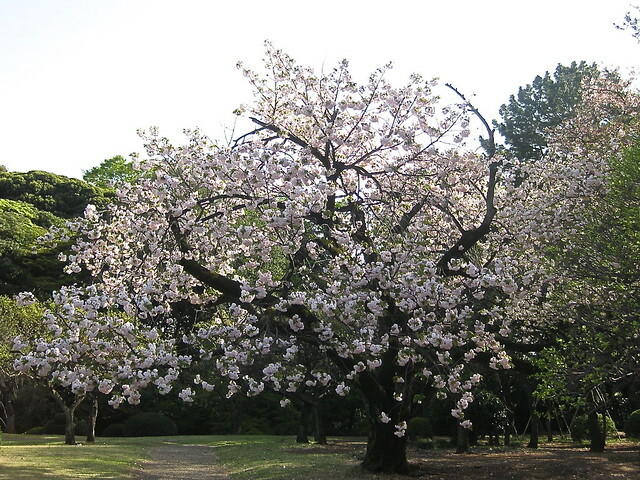 The nearest station is Shinjuku Gyoen Mae on the Marunouchi Line. 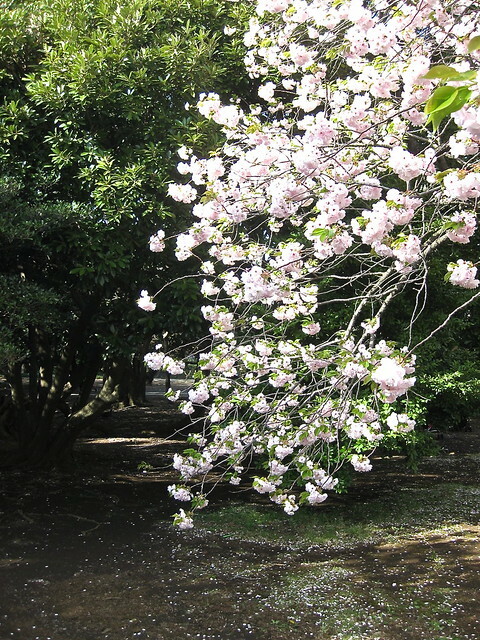 This entry was posted in Cherry Blossom and tagged nature, plants, Shinjuku, Shinjuku Gyoen, Tokyo by Fran. Bookmark the permalink. Absolutely beautiful. 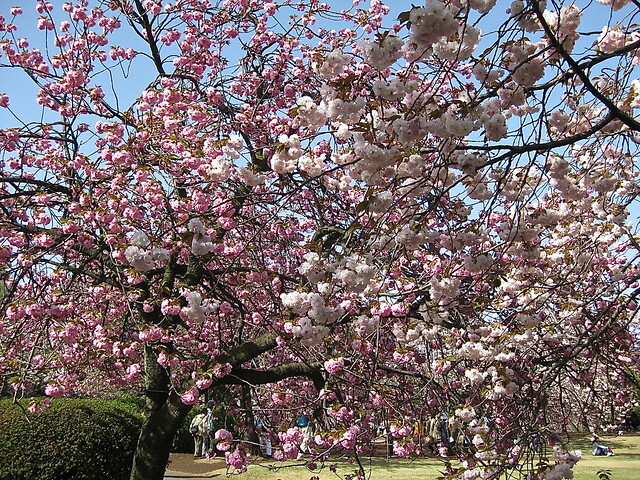 Ditto the comment above – you can never have too many cherry blossoms. I tend to get snap-happy when it come to flowers, too. They’re just so beautiful, so I want to try to capture that beauty so I can keep it with me long after the flowers have faded. 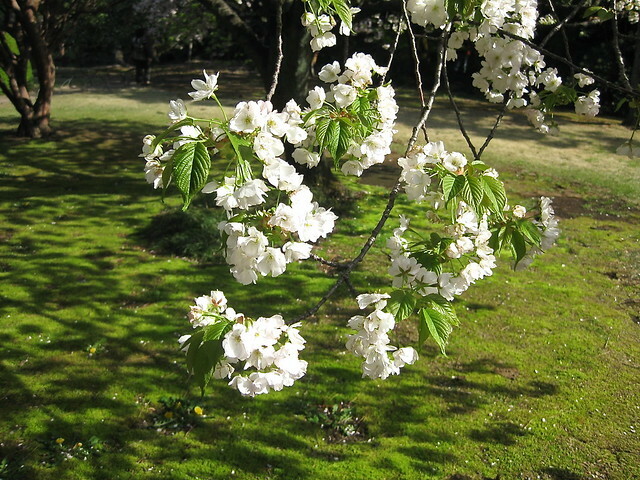 That’s so true, especially with cherry blossom because it’s over so quickly. They are beautiful shots and of course you have to take loads! 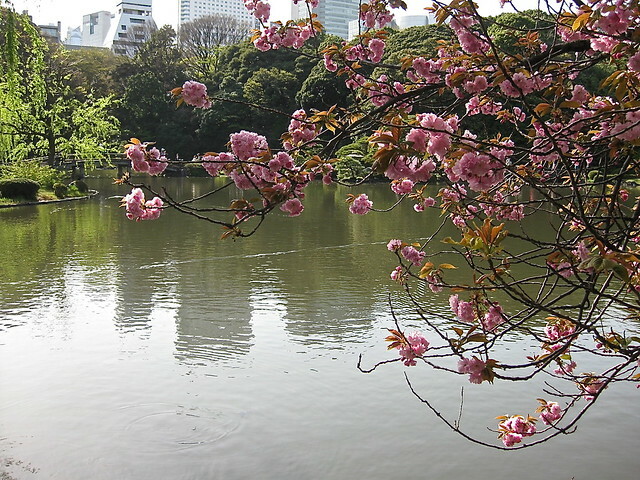 I particularly like the ones that suggest the reflection on the rippled surface of the lake, and the hint of the city beyond as it creates the idea of the flowering oasis amidst the high rise city – and a little bit of quiet away from the bustle of Shinjuku.